Auckland - AB de Villiers says the weight of the nation will be a motivating factor for his team in their Cricket World Cup semi-final against New Zealand at Eden Park on Tuesday. The Proteas have the opportunity to feature in their first ever World Cup final, but will need to get past a New Zealand side riding on good form and home-ground advantage. The skipper feels the squad enters the match with no emotional baggage but rather with a clear focus and motive; to win the trophy for South Africa. 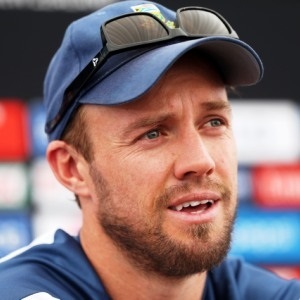 De Villiers says they have done their preparation on all 15 members of New Zealand’s squad, but would rather place more emphasis on their own preparation and strengths. “It would be silly to focus too much on the cricket they have played because they have played really well,” he said of New Zealand. “I personally don’t like to focus too much on the opposition. I believe that if we play to our full potential nobody is going to stop us in this tournament.